Loft Ladder of the Future. Concept loft ladder with transparent hatch. For many years, loft ladders have largely remained unchanged. Traditionally built from timber, the original loft ladder concept remains a popular and dependable choice. In more recent years, concertina loft ladders have grown in popularity. This is mainly due to their space saving design. Higher specification models (such as those offered by Premier Loft Ladders) are also very easy to operate. 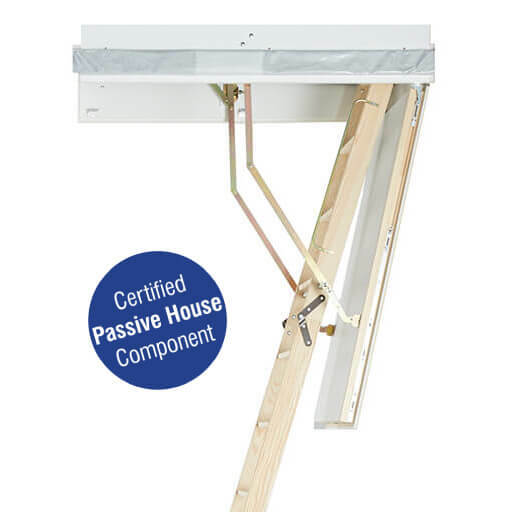 In addition, a key benefit of concertina loft ladders is that they can easily be adapted for use with an electric motor. As such, they can be made fully automatic. 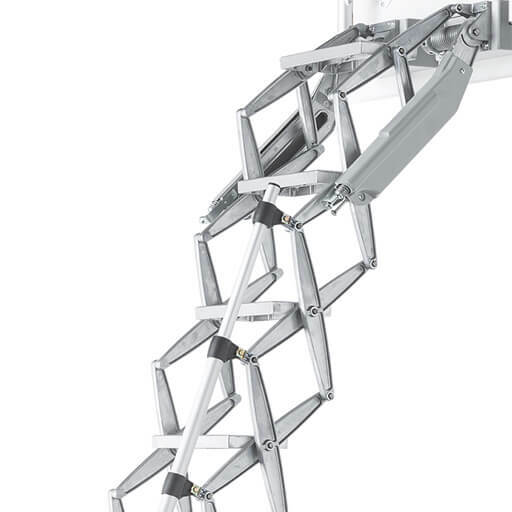 This is the basis for this future loft ladder concept, which was developed by leading loft ladder manufacturer Columbus Treppen. 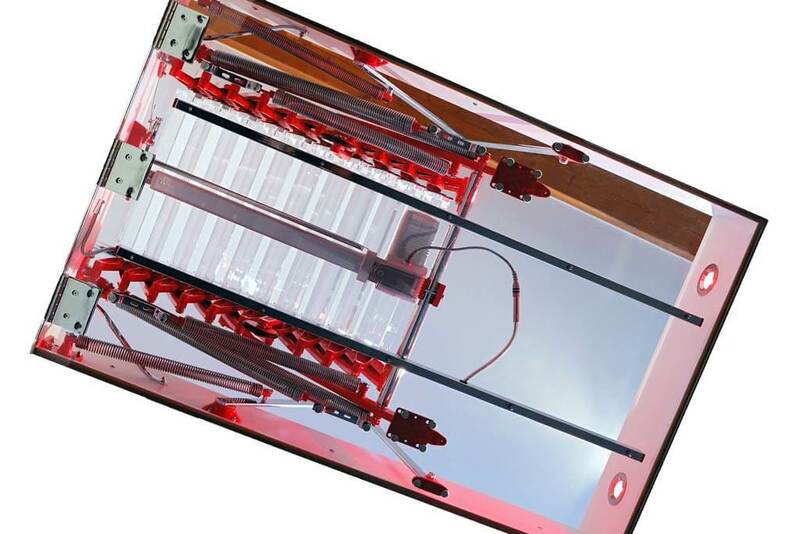 Based upon the Supreme Electric loft ladder, it is fully automatic and features a low-noise electric motor. It also benefits from an emergency battery pack in case of a power cut. Another key feature is the clear loft hatch door. 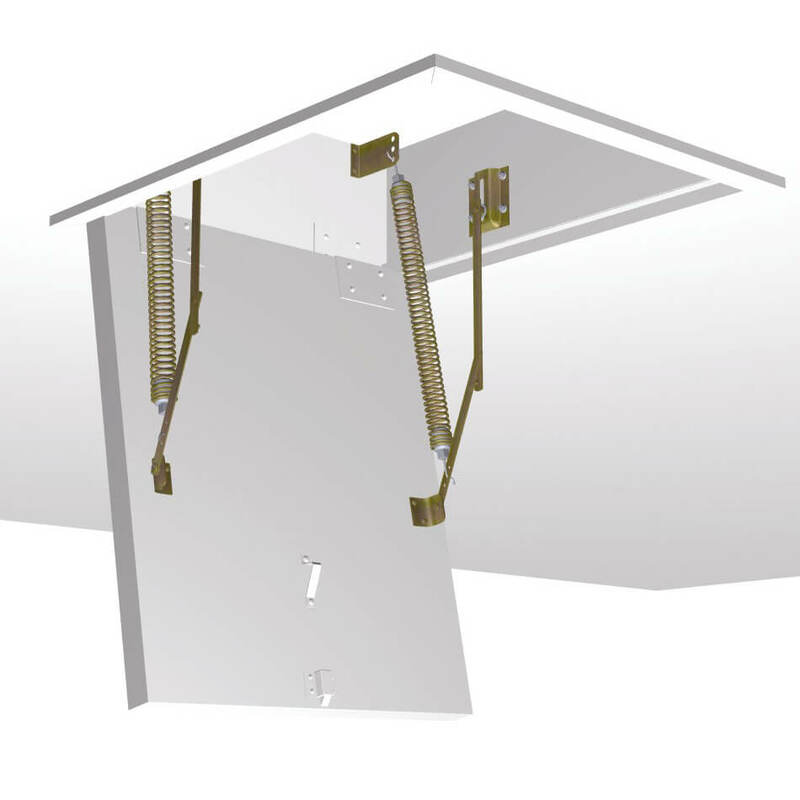 Therefore, the loft ladder of the future allows light to flood into the room, which is often in a dark landing or hallway. However, to ensure the maximum amount of light, the concept has also been given see-through treads. 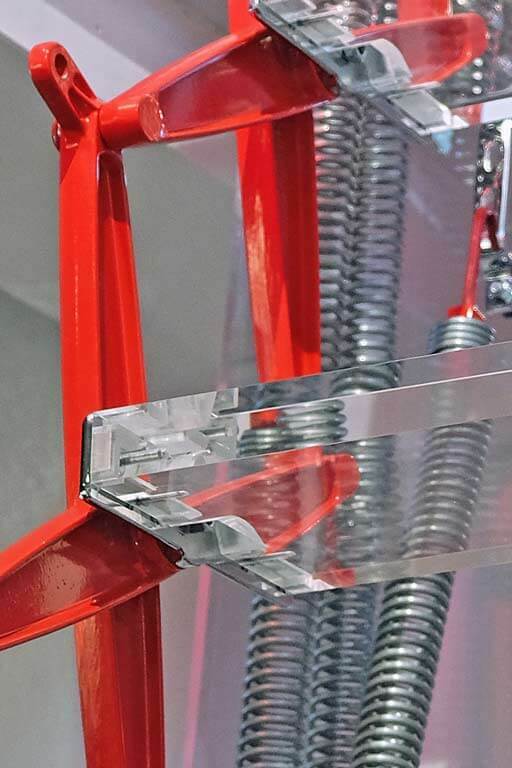 With the loft ladder on constant display, why not opt for a bold powder coat finish on the metal parts. RAL3028 ‘True Red’ was chosen in this case; making the loft ladder a stand-out statement piece. Or, by choosing a white finish, the ladder would almost disappear from sight completely. Furthermore, with over 200 RAL colours to choose from, the loft ladder of the future can be customised to meet your interior design style. Powder coat finish is available for several of our loft ladders already. Click here to read our guide on powder coat finishes. 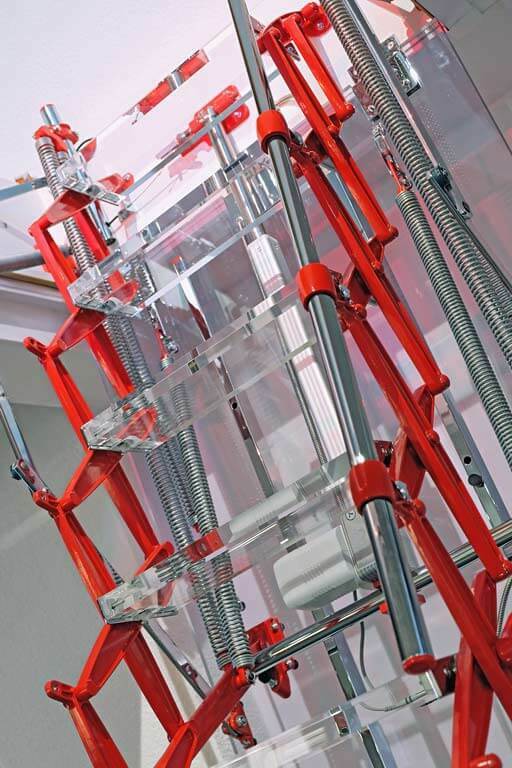 Although this loft ladder is just concept, it is closely based upon the Supreme Electric. This includes fully automatic operation, heavy duty load rating, large treads and the option of a powder coat finish to any RAL colour. Furthermore, the Supreme Electric offers very high levels of insulation and an airtight seal.